If you don't provide value, little else matters. - Rescue Marketing, Inc. If you don’t provide value, little else matters. 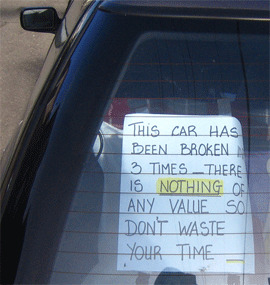 Posted by	 February 10, 2009 February 9, 2009 2 Comments on If you don’t provide value, little else matters. What if you threw a party and no one came? Perhaps more accurately, what if you threw a party and 500,000+ people showed up – and then left within moments of arriving? Fake Steve Jobs knows how that feels, or something like it. In his case, 500,000+ people came to his website and spent $1039 between them. In a month.Â A little disheartening, wouldn’t you think? To his credit, when he heard that Steve had health problems, he decided to stop blogging as Fake Steve Jobs. His blog poked fun at plenty of things and had a good time – but it was missing one important thing for a blog intended to replace his day job. What happens next is kinda important. Fake Steve Jobs doesn’t appear to understand that, or at least, started something without really planning it with a mind for turning it into a substantial income stream. Â That’s ok. The real Steve Jobs gets that. So should you. I agree providing value is what matters. I am not as convinced humor and fun don’t provide value. Even after you provide value, if you want to earn income from users your efforts you need to be able to monetize the value provided. Some things are easier to monetize than others. I think a problem with many popular blogs is successfully monetizing the value they provide. I think it is important to realize the problem you are trying to solve. If the problem is you are not providing value that requires very different action than if you are not able to monetize the value you are providing. I couldnt agree more. If your goal is monetization, choose your product carefully. And products can be many things, not necessarily the traditional definition.